Poppy is one of the most versatile styles in the Pixie collection. Can be worn mid calf or as an ankle boot with the zip open and the cuff rolled down. The chunky zip and crossover buckle design is a classic and Poppy has been a bestseller since Season One. 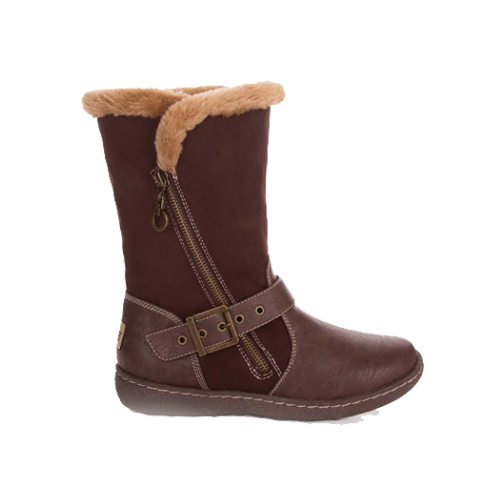 Fully lined in faux sheepskin right down to the toes. These are great looking boots to wear and look great with dresses. Super comfy to wear in casual setting or around the house.